Training shelter pets and working with any behavior issues they may have goes far further than, “Sit! Stay!” Enough dogs and cats relinquished to shelters and rescues have been abused or simply neglected and need socializing and special training to make them suitable for a good home instead of a euthanasia chamber. Sara Taylor, CPDT-KA, is the director of animal behavior and training for the Society for the Prevention of Cruelty to Animals Los Angeles. She’s had extensive training herself in the areas of behavioral consultancy and animal training; she’s also accredited by the Certification Council for Professional Dog Trainers. 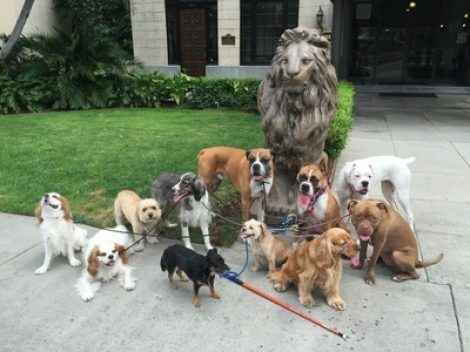 She created a “behavior plan” for dogs brought into protective custody by spcaLA humane officers; the plan addresses the diverse and often complicated behavioral needs of dogs who’ve been through hell. 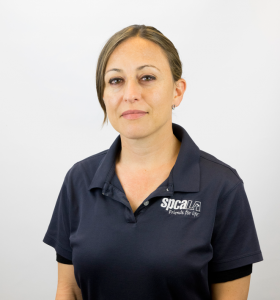 SpcaLA animal behaviorist Sara Taylor will present at the Association of Professional Dog Trainers in Tennessee this week. Photo courtesy of spcaLA. Stanford has been in business as a dog trainer for nine years and agrees that behavior training makes a scared, anxious or recalcitrant dog calm and confident. “This way, they can be taken out on a leash, taken places with their owners, which in my opinion is the ultimate gift for a dog,” she said. These confident canines are honored graduates of Trots Dogs. Recognize the location? Photo courtesy of Trots Dogs. This week, Sara Taylor has the honor of presenting at the sixth annual conference of the Association of Professional Dog Trainers, the largest association of professional dog trainers worldwide. The conference takes place in Memphis, Tennessee, on Friday, Oct. 19. The topic of Taylor’s presentation will be “Training Shelter Dogs for Adoption” and will feature techniques for developing good social behavior in dogs who are in various states of stress and how to tailor the training to individual canines. Conference attendees will also learn how to provide enrichment and remedial socialization, particularly dogs who have been under shelter care for long periods of time.